Lock in a great price for Europe Villa Cortes GL – rated 9 by recent guests! Rooms were very comfortable and excellent breakfast. Everything was brilliant- services, staff, food, atmosphere 😊 thank you! 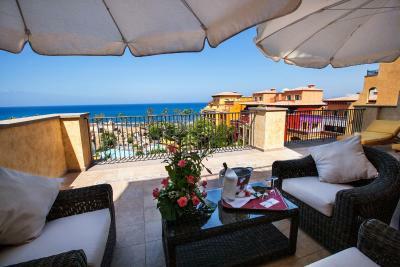 Beautiful property, we had a great room with a huge terrace overlooking the sea. Good restaurants. Nice people. 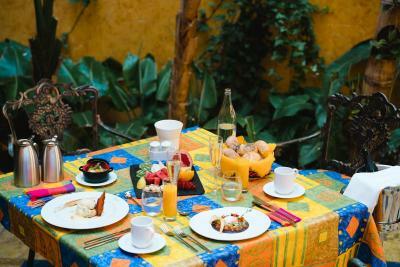 The breakfast is amazing, the staff is very kind, the rooms are very big and comfortable. Well looked after hotel with very friendly & helpful staff. Rooms are super - try for pool & sea view. Excellent choices at breakfast. everything was amazing. Staff, rooms - literally everything. 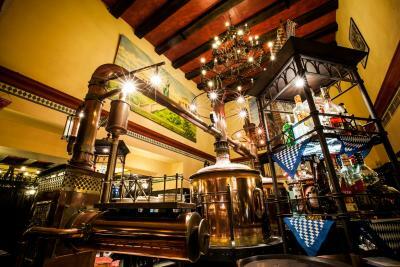 Restorants are perfect, kitchen is awsome. Personnel was always helpful. Europe Villa Cortes GL This rating is a reflection of how the property compares to the industry standard when it comes to price, facilities and services available. It's based on a self-evaluation by the property. Use this rating to help choose your stay! One of our top picks in Playa de las Americas.Europe Villa Cortes GL is located on the seafront in southern Tenerife’s Playa de las Américas resort. 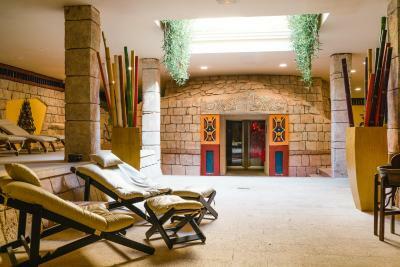 It offers a fitness room, spa, 6 restaurants and luxurious rooms with private balconies. The Villa Cortes GL is styled in the manner of a luxurious Mexican mansion. 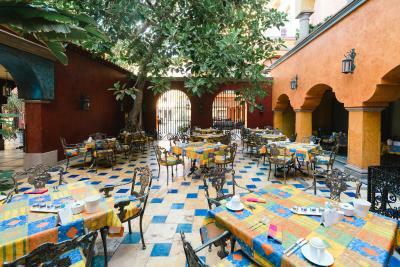 Rooms feature custom-made Mexican furniture, satellite TV and a private bathroom with a hairdryer. 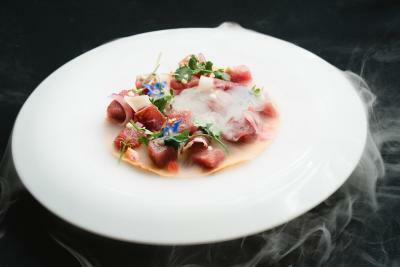 The Cortes has a beach club restaurant and a variety of gourmet dining options, offering Mediterranean, Mexican and Bavarian food. 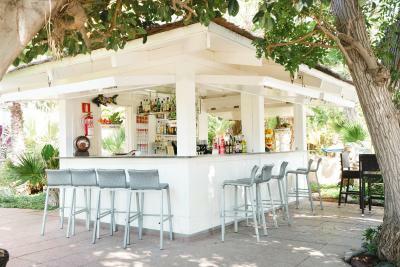 There are also 4 bars, including a beach bar. 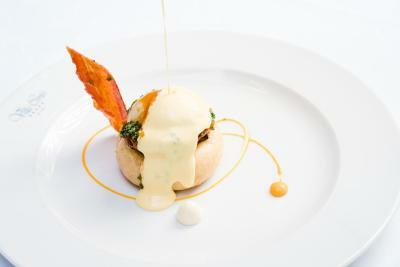 There is a buffet breakfast, and half-board rates include à la carte dishes. The hotel’s outdoor pool features a waterfall and a children’s area. 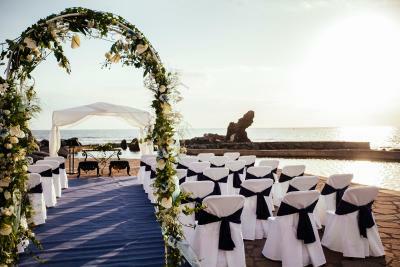 There is also a tennis court and a sun terrace with Balinese beds. Las Américas Golf Course is just 5 minutes’ drive from the Villa Cortés. Guests can also drive to Tenerife Sur Airport in 15 minutes. 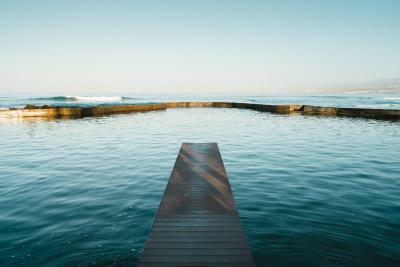 This is our guests' favorite part of Playa de las Americas, according to independent reviews. 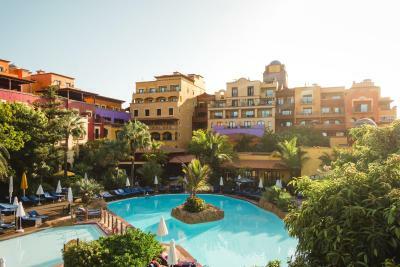 This property also has one of the top-rated locations in Playa de las Americas! Guests are happier about it compared to other properties in the area. 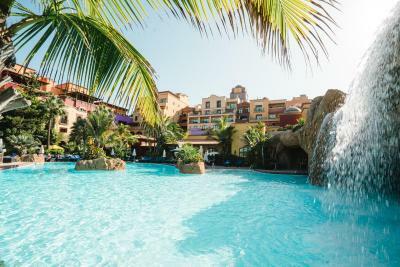 뀐 Located in the top-rated area in Playa de las Americas, this property has an excellent location score of 9.6! When would you like to stay at Europe Villa Cortes GL? 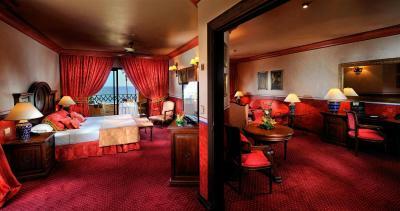 The Junior Suite has a king bed, a separate sitting area and dressing room. It offers views of the sea. 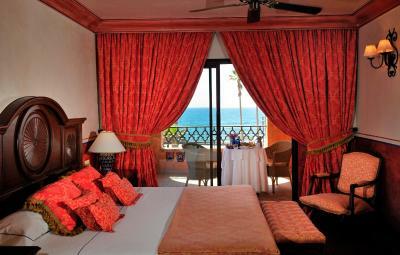 This luxurious room features custom-made Mexican furniture, satellite TV and a private bathroom with a hairdryer. It offers views of the sea. 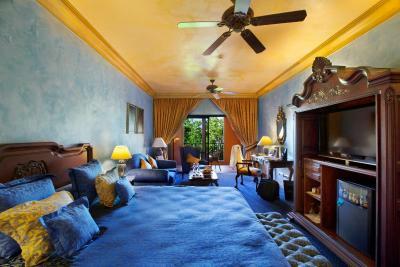 This luxurious room features custom-made Mexican furniture, satellite TV and a private bathroom with a hairdryer. 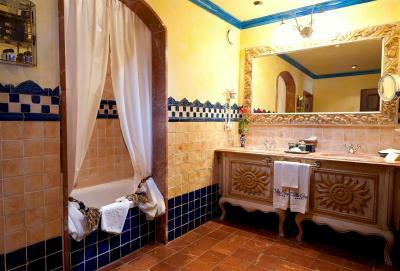 This luxurious room features custom-made Mexican furniture, satellite TV and a private bathroom with a hairdryer. It offers views of the grounds. 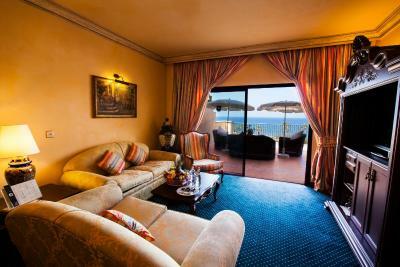 This spacious suite features a separate sitting area, as well as a balcony or a terrace with views of the sea. Including views of the grounds, this luxurious room features custom-made Mexican furniture, satellite TV and a private bathroom with a hairdryer. 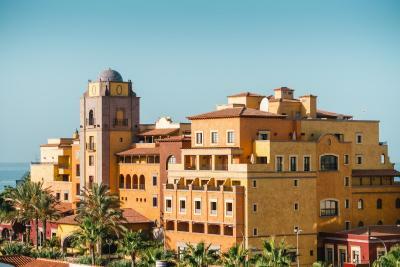 Europe Villa Cortés ***** Deluxe & Spa is located in Playa de Las Americas in southern Tenerife just 15 minutes away form Reina Sofia South airport and about 45 minutes from the north airport. Inspired by the colorful style of Mexico and designed for the comfort of our customers. It has 6 restaurants, 4 bars, pool, spa, gym and luxury rooms. It also offers a variety of services to maximize the customer enjoyment: Room Service, golf program, transfer from/to airport, car rental, hairdresser, etc. 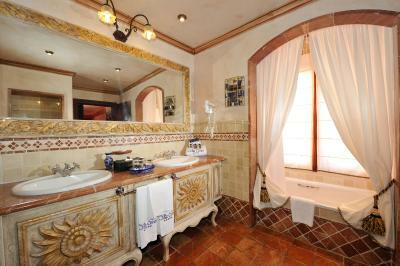 Each of the 151 rooms and suites are decorated with different Mexican-style details. All rooms have: bathroom with bath or shower, bathrobe, slippers, hair dryer, air conditioning, sofa-bed, Wi-fi (with charge), satellite TV, telephone, safe, mini bar (with charge) and balcony or terrace. 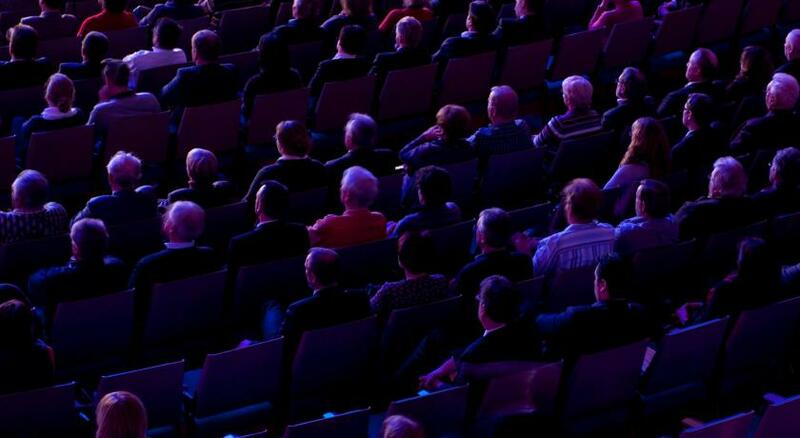 It has different types of rooms to suit the needs and desires of each client. 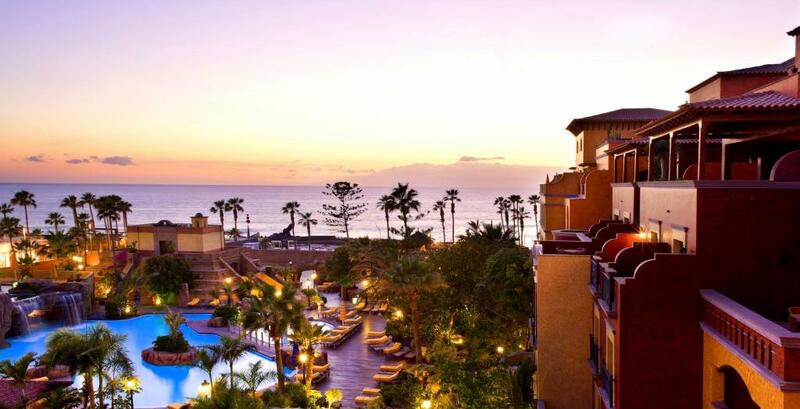 From double rooms with sea view, pool, garden view or Teide views to spacious Junior Suites and luxurious Suites designed to enjoy maximum confort overlooking the sea. 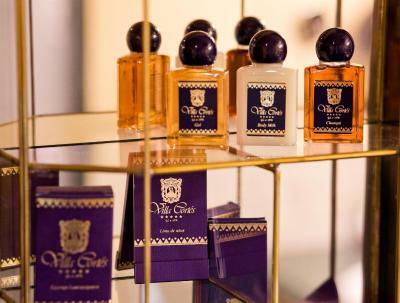 House Rules Europe Villa Cortes GL takes special requests – add in the next step! 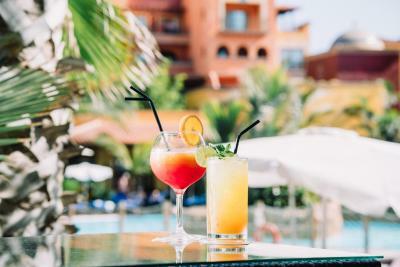 Europe Villa Cortes GL accepts these cards and reserves the right to temporarily hold an amount prior to arrival. Child care services are available upon request and have an extra cost. Please note the published rates for stays on December 31st include a mandatory fee for the gala dinner held on that evening. Guests must be holders of the credit card used to pay for the booking . This will be checked on arrival. Please note the pools and surrounding areas will be closed due to maintenance from 17th to 21th December, both dates included. Fabulous Hotel which was an oasis to escape to. There was no exhaust hood (ventilation) in the toilet so smell was keeping there for a long time (sorry for such a detail) Another thing. Hotel provided us with letter after checkin informing that we have half pansion but during checkout they realized it was their mistake and I needed to pay extra money for their mistake (letter was in Russian so they didn't understand what they sent us). Room was large and comfortable. Hotel generally was looking a little tired. A few staff issues at breakfast time. 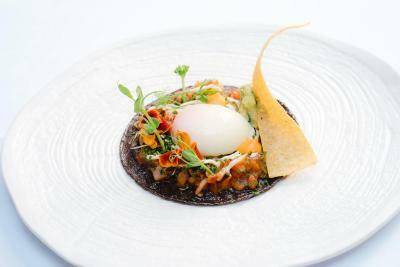 Well situated with spacious rooms, good breakfast and friendly helpful staff. Room we stayed in was excellent, large bed, noise from other rooms hardly noticeable. breakfast very good. Evening restaurant not got atmosphere, needs re thinking. ground floor rooms were in need of updating and communal carpets need replacing. Didn’t like that people are walking in from other hotels and using the pool and towels as nobody is asking for your room number when you get your towels, and the big pool was absolutely freezing, we where there for two weeks and planned on learning our kids to swim but couldn’t as they are both asthmatic as am I and the pool was that cold it took our breath. We would love to come back to villa cortes as we loved it but couldn’t unless they heat their big pool!!!! Loved the room, location, breakfast and breakfast room, pool area, staff, gym, relaxing atmosphere, made our children feel very welcome.